Fold it like a handkerchief and shove it in your pocket – that’s what Microsoft dreams the future of smartphones to be and a recent development in the effort was the patent filing of a foldable “Andromeda” device aka the Surface Phone. The intended fold permits maximum usage of the phone’s surface for touch input without edging out the ease of single-handed usage and ensures a tablet-like experience using Windows apps. A new report from Windows Central confides that Microsoft has begun building and testing Andromeda apps. 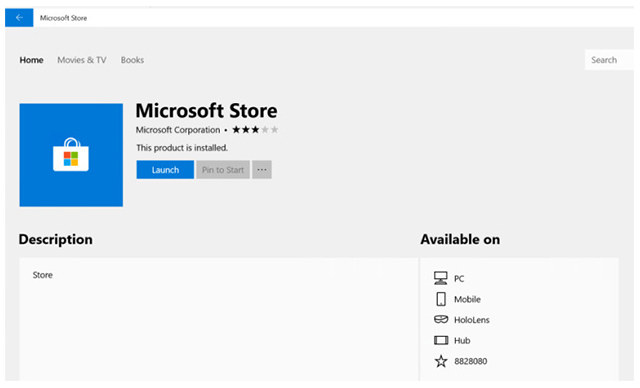 This is indicated by the mysterious platform “8828080” which emerges like a star under the “Available on” section of Microsoft Store listing, complementing PC, Mobile, HoloLens and Hub. The speculation gains depth from the fact that (425) 882-8080 is a phone number registered in Microsoft’s name, and this new mystically gleaming platform could, after all, be Microsoft’s next big gig with a phone i.e. 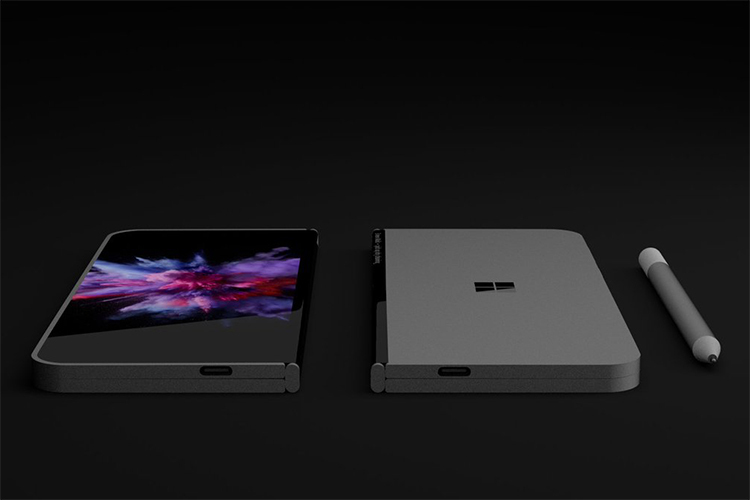 the much-anticipated foldable Surface Phone. A bunch of third-party apps including Spotify and some games have also been spotted supporting the prophesized Andromeda OS platform. The platform is Microsoft’s attempt to make Windows ecosystem more modular so that manufacturers only have to install the necessary elements as required by each device. The elements can be easily hand-picked to fit different screen shapes, sizes and configurations – a significant step towards Microsoft’s vision of a unified “One Windows” environment. This flexible environment, or “CSHELL” as it is referred to in Microsoft, brings a truly universal experience to all Windows machines, allowing users to seamlessly pick and drop running applications from one device to another. For instance, you can start a game on your Xbox, pause it, and later continue playing it on your laptop or mobile phone. Evidently, this progress hints that we’re nearing the launch of a new and iconic generation of Windows devices. This sets high expectations for 2018, although the speculation hangs over over a knife-edge. Nonetheless, mastering the dynamic ecosystem is a tightrope Microsoft is walking, and we’ll keep you updated as each step unfurls.